What is the success rate of drug rehab? Our programs are recommended (in some cases required) by Organ Transplant Departments, hospital systems, private practices, State Courts, and more, without any solicitation from our organization. Why? The reason comes from the reputation we have built because of the quality care we provide which involves how we operate based on success rates and person-centered practices. This means that beyond quality services we consider what affects quality outcomes (accessibility, treatment duration, cost) and quality experiences (environment, staff, service-quality), and these are just a few. There are customer service components alongside outcomes to be obtained. We pride ourselves for being adaptable, accessible, responsive, and compassionate. This, of course, can be seen in the average treatment time, engagement, and quality of life scores for those who have been in our programs. The success rate of drug rehab programs is hard to determine. Some programs claim 100% success, others boast more modestly with a number in the 90% range. The real question is what success means? Are these drug rehab success rates based on lifetime sobriety, sobriety while in treatment, or other factors? Are the programs monitoring their clients? First of all, there is no standardized measure of rehab success rates. There are accreditations that determine if programs meet certain standards, but globally no one really knows how well they are doing relative to other programs except as reported by clients. Data does indicate trends of inpatient versus outpatient treatment and among various treatment modalities, but not program-to-program, and certainly not over long periods of time. This is how we evaluate outcomes, at least internally. MIA utilizes a validated instrument called the MIA-QOLA (MIA-Quality of Life Assessment) that is a modification of the American Society of Addiction Medicine’s ASAM instrument. This tool allows us to measure physical health, mental health, alcohol use, drug use, family and social health, legal, and employment. The tool provides a severity score of the client’s issues and their perception of the issue. We track each client’s progress over time to determine the success of their program. The tool also allows our program the ability to improve as a whole. Here is one very interesting find among our data. That beyond a 9-month period, outcomes continue to improve. Some issues do not improve until around 3-6 months in treatment while others improve right away. Of all of our clients, we see a ~70% improvement across all measures, this also accounts for clients leaving the program against medical advice without any improvements made. While a standardized measure needs to be implemented across the treatment industry, MIA is doing our part to ensure we are delivering effective care and continually improving our programs. 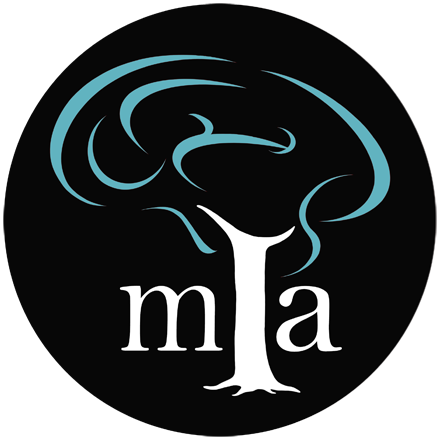 MIA’s quality program and excellent service component translates into a rehab center that is quick to respond to your needs, a rehab center that maintains hours of service delivery conducive to your hectic schedule and hours of contact at all times to maximize support, and a rehabilitation center that focuses on every aspect of your life in conjunction with alcohol and drug use. We understand that no two individuals or their circumstances are the same. While many drug and alcohol rehab facilities use a standard approach, Midwest Institute for Addiction chooses to understand the addiction and psychosocial factors of each client before developing the most effective program; while always maintaining research supported protocols, procedures, and therapeutic techniques. We use medically assisted treatment and counseling to treat alcohol and drug addiction. The medications are research backed and are an effective tool supplemented by mental and behavioral health care. While we do not use the 12 steps in our program, we are its advocates and encourage our clients to utilize this, and other community resources, in conjunction with our rehabilitation centers programs. We are for the progression of addiction medicine and long-term recovery for our clients. To be radical and closed-minded in any healthcare or science field is limiting to the organization and those it serves. As treatments progress so too does our rehab center programs. There is not a magic pill or any “cure-all” string of words to solve our problems. There are, however, many effective tools that when accessible together create a formidable foe for this disease.